The Nile River provided water supply to crops because Egypt was hot and dry with little rainfall. But sometimes the river started predictable floods and that damaged crops. The Nile's Delta was lush and green. 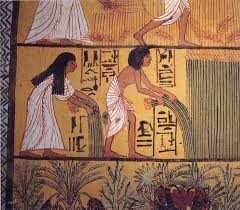 They called it the Kemet because of it's dark rich soil. 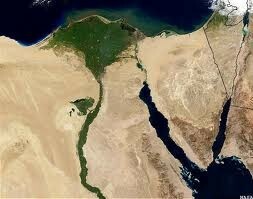 A map of of the Nile River, delta, and the Red Sea. 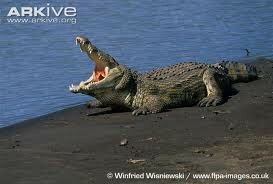 The dangerous meat eating monsters in the nile river. The hard work they did in the hot sun. The NIle Delta is a fan-shaped land and soil and water that is at the end of the NIle River. It goes into the ocean, sea, or any water related waterway. It goes into the Mediterranean Sea in Africa. It was lush and green because it was mixed with water, land, and soil. Egypt is located in Africa and it is hot in that continent because located next to the Equator and that what makes it hot. The Cataracts were fast and dangerous and big boulders were in them. The Cataracts kept the invaders away because of the fast moving water and it would hurt them. Also it was bad because it made it difficult along the Nile river because of the fast moving water and big boulders/ rocks crashing. The Egypt's Geography was really interesting to me because I got to learn how Egypt's Geography in many different ways. It told me how the Nile River and Delta and etc. affected the Ancient Egypt. It has made it easier for me my quizzes and classwork we do.